Invited keynote speaker Anthony Brown conversed with OHIO faculty at Neuroscience Research Day. The Ohio State University professor Anthony Brown opened the first annual Neuroscience Research Day with a keynote lecture describing his work on neurofilaments and axonal transport. Neuroscience Research Day, which was contrived by a team of faculty members, graduate students and undergraduate students, brought together members of Ohio University’s Neuroscience Program, which includes researchers from the departments of Biological Sciences, Biomedical Sciences and Physics & Astronomy. 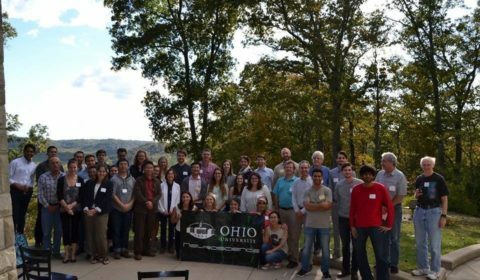 More than fifty students and faculty members attended the event, which was held at Lake Hope Lodge in MacArthur, Ohio. Brown, who has received international recognition for his research, is a former OHIO faculty member and currently collaborates with OHIO Physics & Astronomy professor and Neuroscience Program member Peter Jung. 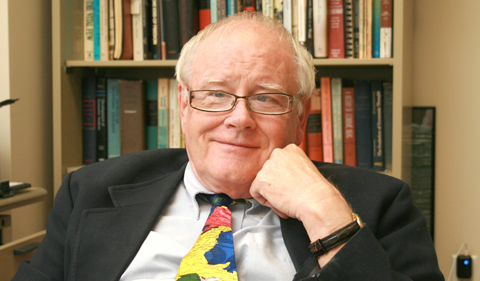 While still at OHIO, Brown discovered that neurofilaments are transported by “hopping” on and off the tracks of microtubules, which he characterized as the “stop-and-go” model. Largely, Brown’s group studies the movement of neurofilaments along axons. To determine the mechanism of neurofilament transport, Brown studied changes in the folding patterns of neurofilaments over time. He discovered that the filaments appear to spend a significant portion of time in a folded state, and that filaments can join together via end-to-end annealing. Additionally, Brown used three approaches (natural gap, photobleaching, and fluorescence photoactivation) to characterize neurofilament movement patterns. He reported that the filaments spend the majority of their time paused and off the “tracks” along which they are transported. Brown said for now, his group is still working to determine the underlying function fulfilled by the movement of neurofilaments. “It’s incredible how extraordinarily dynamic these supposedly ‘boring’ filaments are,” Brown said during the lecture. 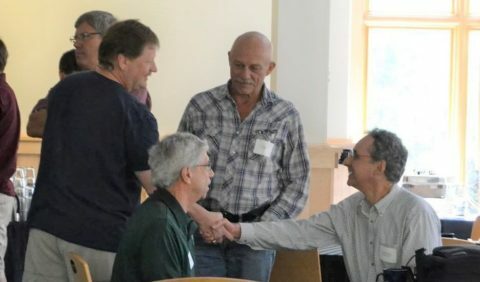 Students and faculty members gathered at Lake Hope Lodge for the first annual Neuroscience Research Day. 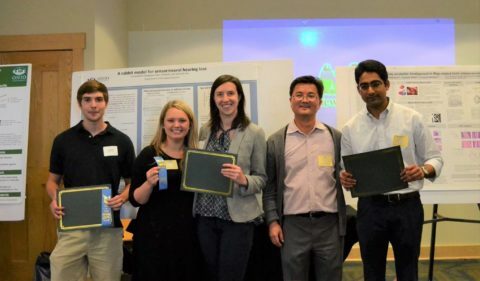 Neuroscience Research Day award ceremony: Dakota Brockway, Mary Gemmel, Catherine Early, Daewoo Lee, Nilaj Chakrabarty. In addition to Brown’s lecture, six OHIO faculty members (William Holmes, Corinne Nielson, Scott Hooper, Yang Li, Mitchell Day and David Russell) presented talks on their work. 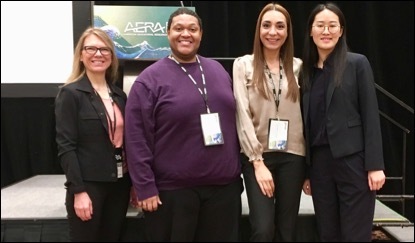 A poster session was held to highlight student research; Nilaj Chakrabarty, Mary Gemmel, Catherine Early and Dakota Brockway each took home prizes for their presentations. For more information about Neuroscience Research Day and the Neuroscience Program, visit https://www.ohio.edu/cas/biosci/research/neuro-research.cfm.